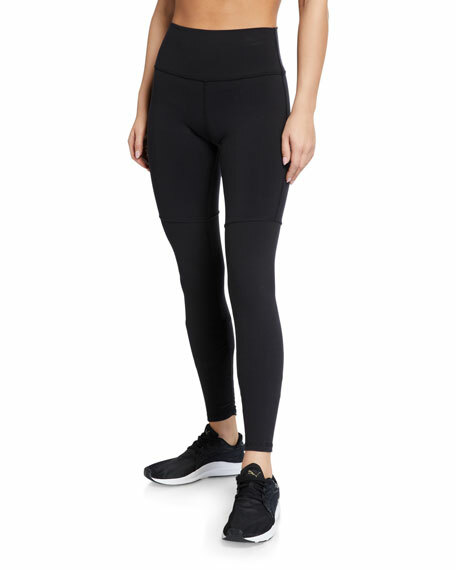 Alo Yoga "Goddess" leggings in shirred, colorblock performance fabric. Approx. inseam: 27.5" (XXS) to 28.5" (size L). Engineered to lift, sculpt, and smooth. Moisture wicking, four-way stretch construction.